Geno Mei (pronounced May) was born and raised in Chicago. Geno was a History major at the University of Illinois, Chicago. He moved to Arizona in 1983 to pursue his dream of opening a restaurant and created Nello’s Pizza, a successful restaurant in Tempe. Geno fell in love with Arizona, it’s history and especially the Sonoran Desert. He has hiked all over our state and also did a lot of whitewater river rafting. One of the highlights of his rafting days was rowing his 14’ raft down the Colorado River in the Grand Canyon. After selling the restaurant and retiring in 2005, Geno found that he missed being around people and began working on the Desert Belle. 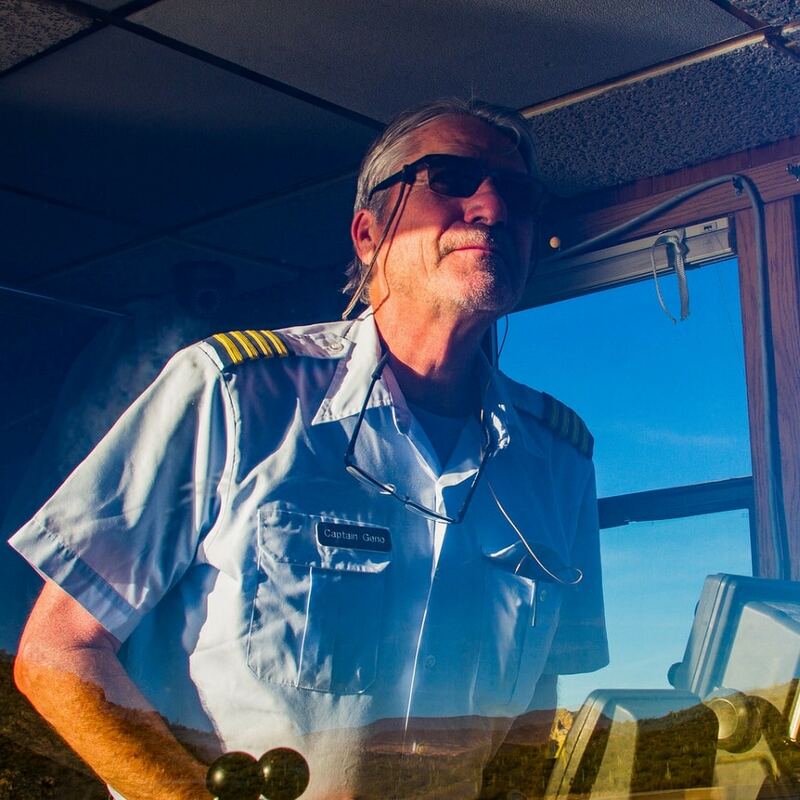 His love of Arizona’s history, the desert and being on the water has made being a Captain on The Desert Belle a perfect fit for the past 7 years.